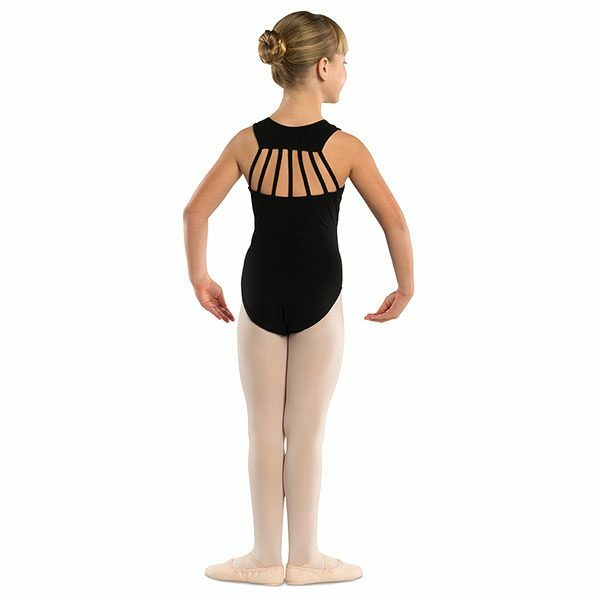 Seven straps on back of leotard. Fully front lined. Cotton Blend.